Despite her petiteness, Kaviesha’s calming aura envelops the whole room. With her curly (coconut-oil infused) hair and large smile, her inner energy is plain to see. For the last four years she’s lived a busy lifestyle as a laboratory analyst, so Kaviesha devotes her spare moments to meditation and yoga. By maintaining a heathy connection between her mental and physical health, she’s been able to focus on the beauty within first, with everything thing she does- especially since being signed to Milkshake Models last year. 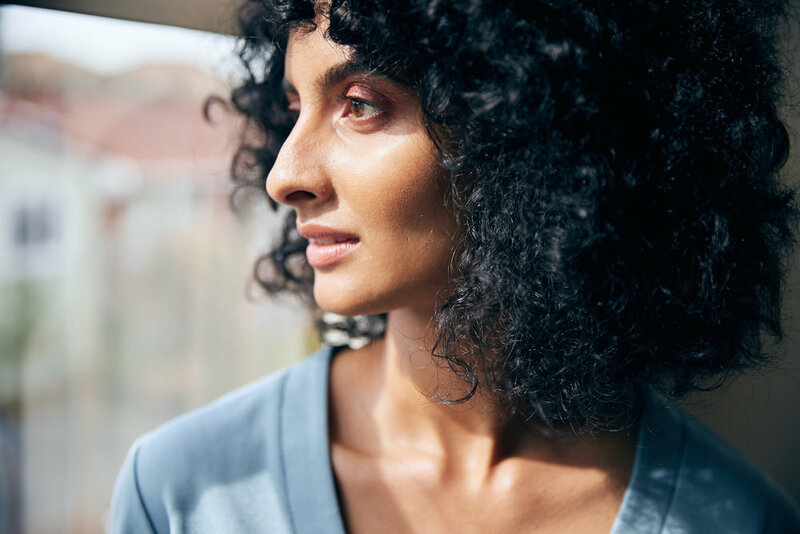 Kaviesha’s simplistic beauty routine and less-is-more approach to skincare is refreshing; so Sauce founder Zeenat Wilkinson spoke to her about her top shelf favourites and her morning, night and hair routines. I am currently working full-time as a laboratory Analyst at Asure Quality and as a model in my free time. I have also been part of a creative project called Mixit which I have been a youth leader and now an alumni youth leader helping and performing whenever I can. Thanks to Mixit, I was able to build my confidence to become a lot more comfortable in front of the camera and on shoots. I talk to myself especially in front of the mirror. I know, sounds creepy, but it makes me reflect on things and connect with myself. I believe that beauty comes from within. Someone’s personality brings out the inner beauty. Eating healthy and drinking water is important. It's essential to have at least eight hours of sleep to be up and about the next day. I practice yoga and meditation. 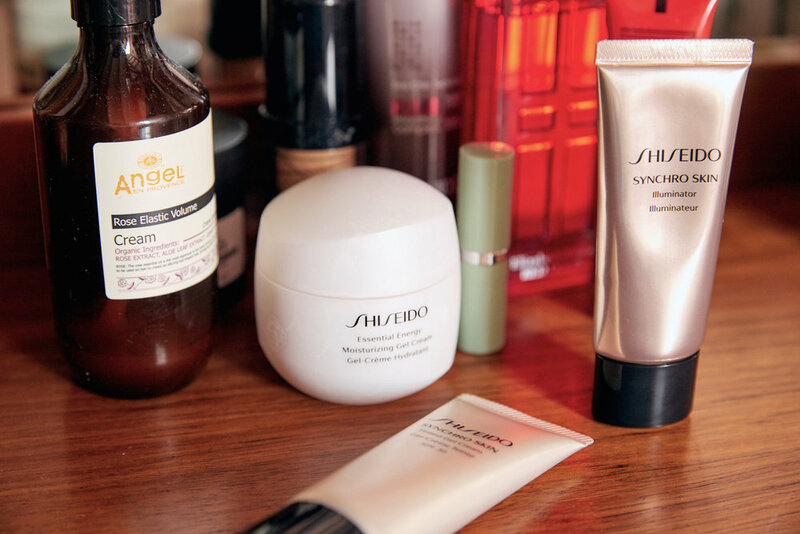 I recently started using Shiseido Synchro Skin Illuminator. The most beautiful texture and it makes my skin glow. Very hydrating and so easy to use too. My skincare routine is very low key. I start by massages my eyes. Cleanses my face with Cetaphil, moisturize with Shiseido Essentials Energy Gel Cream which is great for my combination skin. Put on lip balm on, deodorant and a perfume. And I am done! I use coconut oil and tea bags on my eyes. Coconut oil hydrates the skin underneath my eyes. I leave refrigerated tea bags on each eye for few minutes. My eyes feel fresh and reduces puffiness. Cleanses my face with Cetaphil and moisturize with Shiseido Essentials Energy Gel Cream. Vaseline on my lips and apply some coconut oil underneath my eyes. I massage my hair and comb through with coconut oil a day or few hours before I wash my hair. Shampoo and condition with Sebastian Twisted. I love going for a long walk at night under the lights in Britomart. Favourite yoga place is Sweat Yoga in New Market. They have an amazing line of teachers.